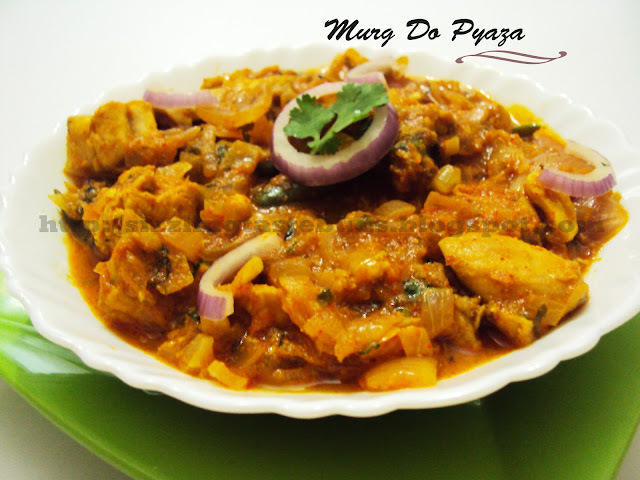 Chicken( Murgh) Do Pyaza is a very well known Mughlai dish. It goes well with rice or any kinds of breads, roti's , dosa's, or idli's. The name " Do Pyaza" is for the onions which is added to the dish at two different stages. 2. Blend chopped tomatoes and cashewnuts in a blender to make a fine paste/ puree. 3. Heat 1 tbsp oil in a non- stick wok and add shahi jeera to it. 4. 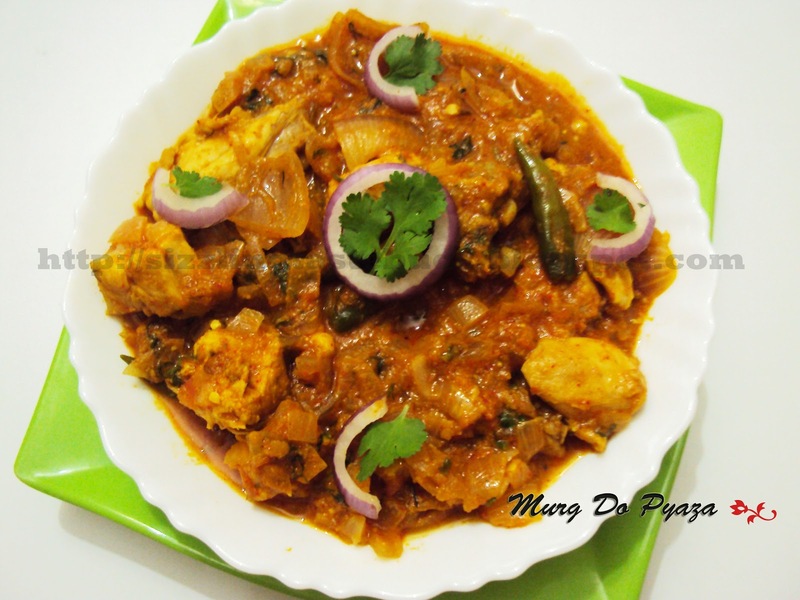 After few seconds of sauteing it, add chopped onions and fry till it turns light brown in color. 5. Add Ginger- garlic paste and fry it for 2 mins. 6. Add slit green chillies along with other dry spices like haldi, red chilli powder and coriander powder. Saute it for a minute and add tomato and cashew paste. 8. When the chicken pieces are half cooked, add onions cubes and Salt to taste. Cook further till chicken is cooked properly and the oil starts to separate. 9. Add few crushed kasoori methi and mix well. 10. 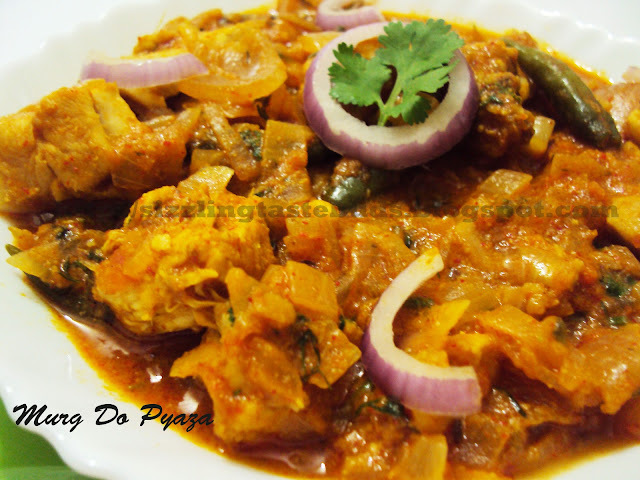 Finish it off with fresh cream and garnish with some freshly chopped coriander leaves.